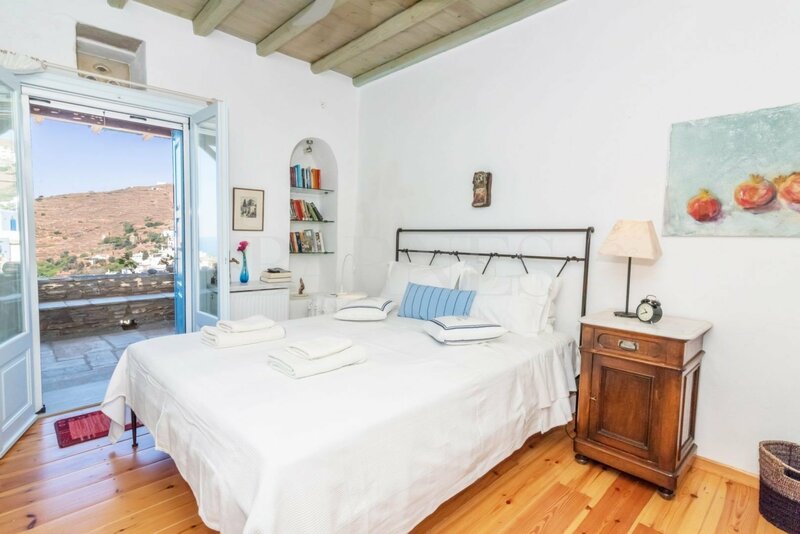 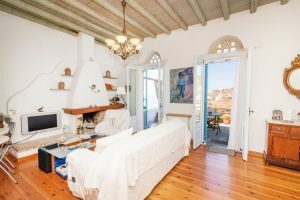 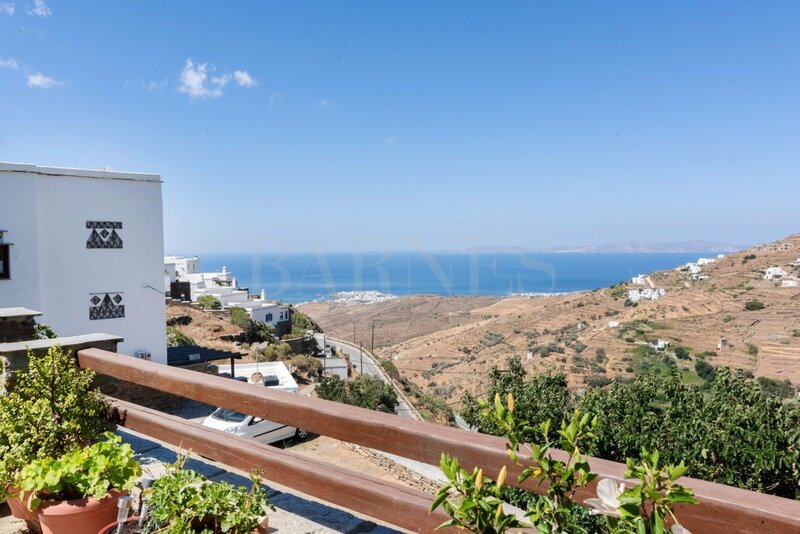 Α charming maisonette with splendid view of the sea and the sunset in Triantaros village, in Tinos. 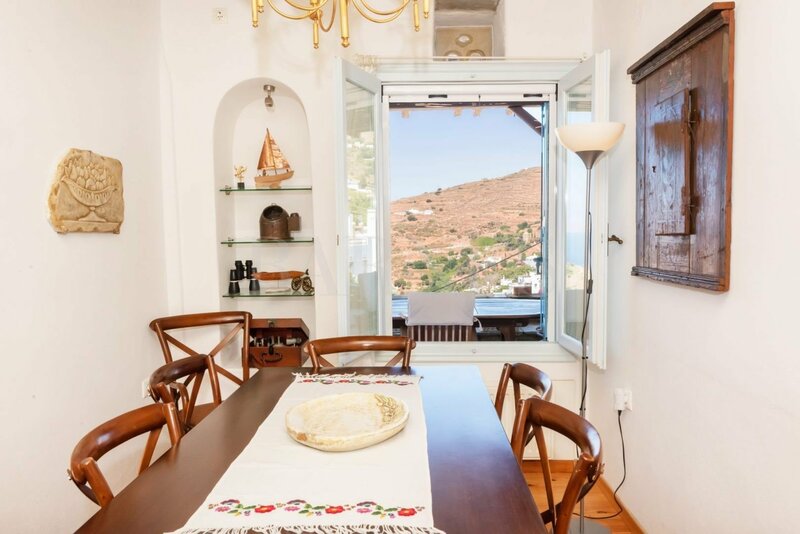 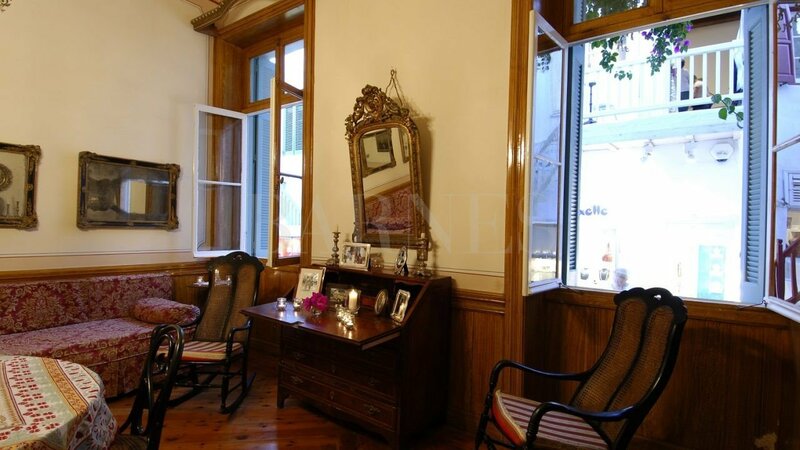 The house covers 160sqm., is built in the traditional Cycladic style and is developed on two levels. 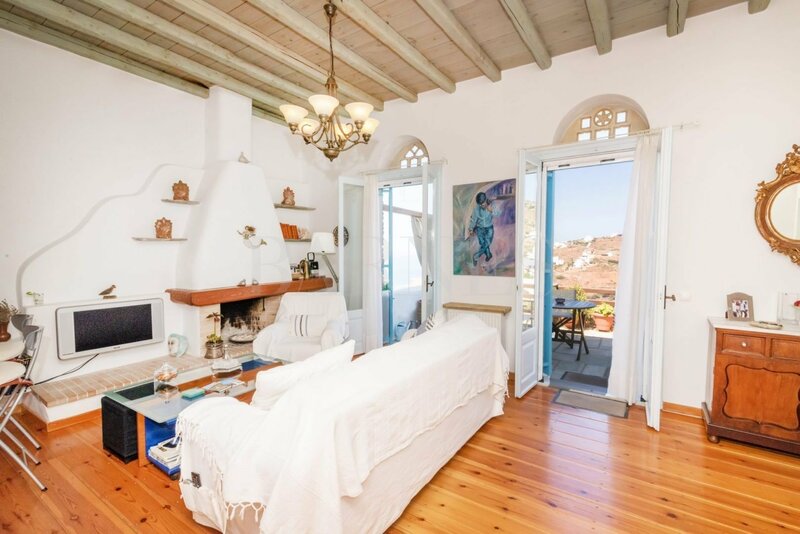 On the upper level it consists of a large living room with a fireplace, a separate dining room, a kitchen, a study room and a master bedroom with an en-suite bathroom. 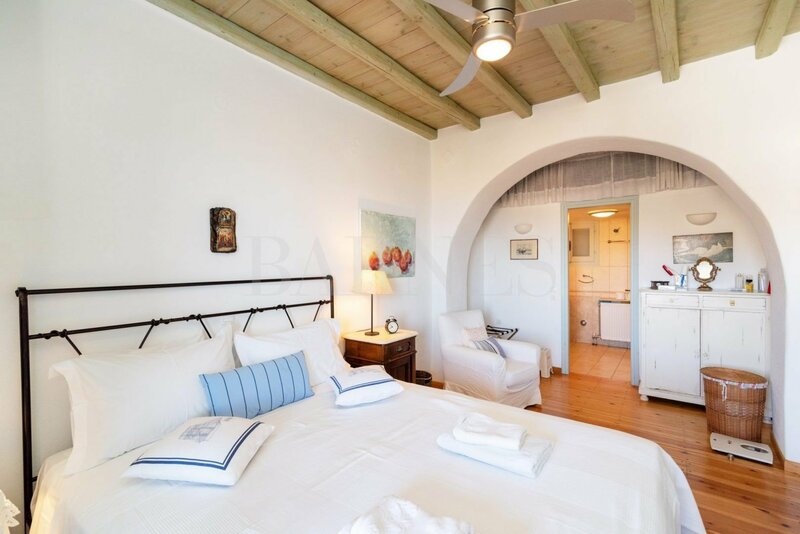 On the lower level there are 2 bedrooms, one of which is a master with an en-suite bathroom, an additional bathroom, a kitchenette and a small living area. 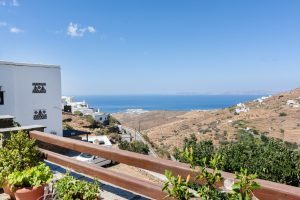 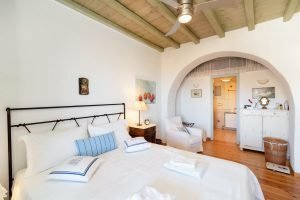 The property also offers large shaded terraces enjoying a magnificent view of the Aegean Sea and the Cycladic natural landscape. 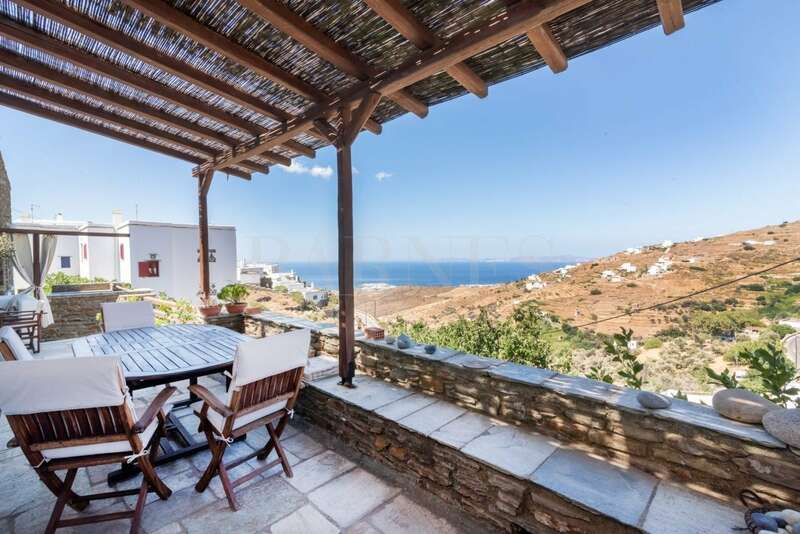 A lovely property with a privileged view in the beautiful island of Tinos. 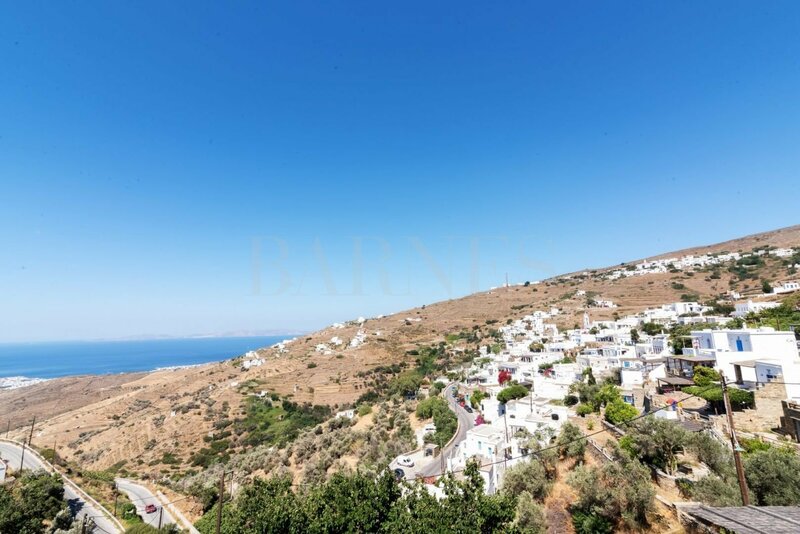 Tinos is one of the most famous Cycladic islands, located between Andros and Mykonos. 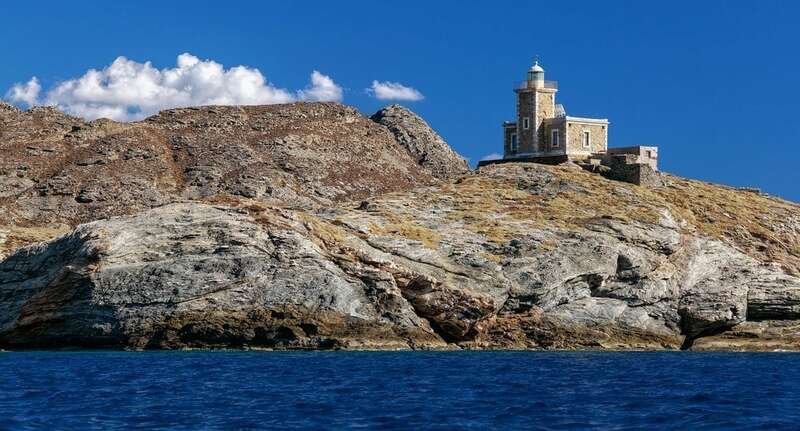 The unique natural landscapes and the crystal beaches make an incredible destination not only for summer vacations.